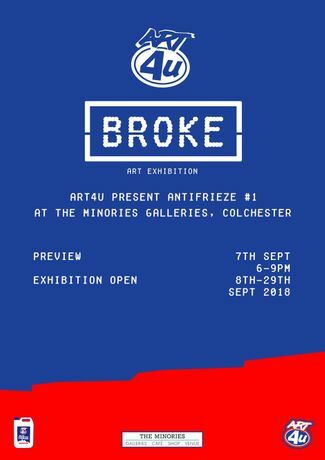 The exhibition sees local emergeing artists respond to the theme of broke, perhaps through inexpensive art making or commenting on a corruption within society. 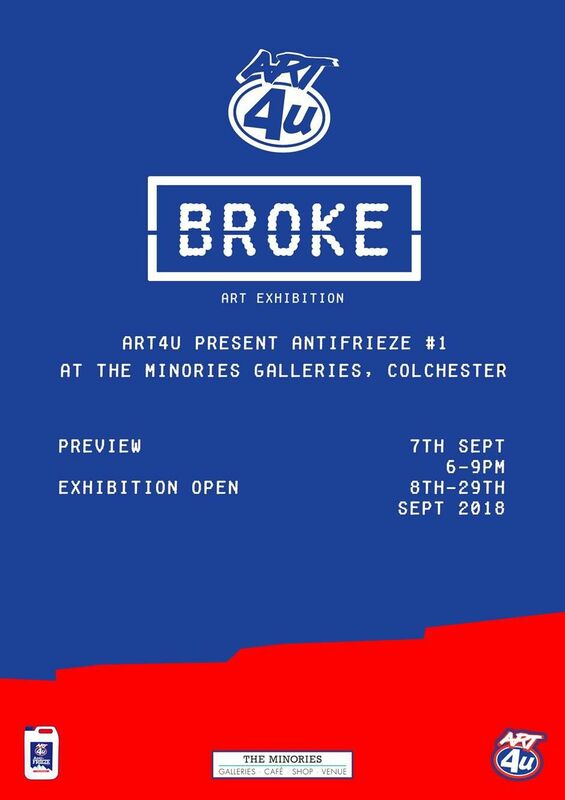 Art4u present ‘BROKE’, an exhibition hosted by co-directors Joe Daniels, Thomas Dilloway and Emma Theedom, who started Art4u with the initiative to create more opportunities for local emerging artists. The exhibition sees artists respond to the theme of broke, perhaps through inexpensive art making or commenting on a corruption within society. The exhibition will showcase over twenty local as well as national emerging artists and will be co-curated by Laurie Taylor Straiton.